Tamarack Golf Club is a PETE DYE designed 18 hole public golf course located in Shiloh, Illinois. Originally opened in 1965, Tamarack offers both classic and a links golfing experience. The course features a relaxing and pleasurable experience for any caliber of player. Tamarack has always been known as a friendly family oriented golf course and is a perfect setting for special events or golf tournaments. The secret is out! 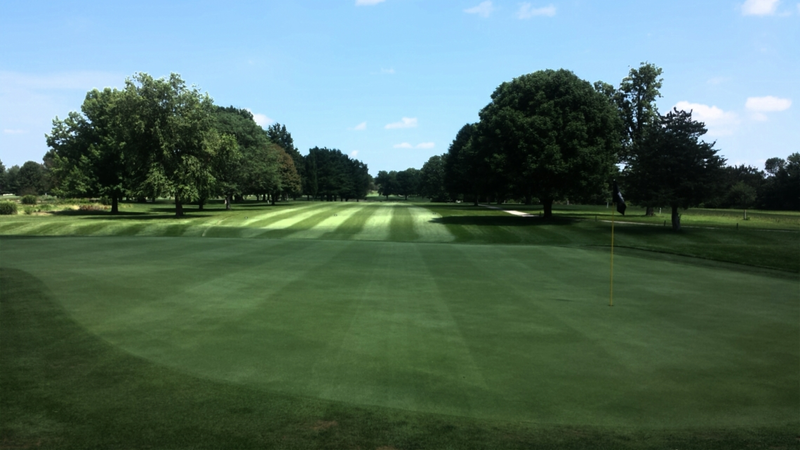 Tamarack has the some of the best kept fairways and greens in the St. Louis Metro Area. We believe quality service and a top notch course create a great value that separates Tamarack from other courses in the area. From the conditioning of our golf course to the quality of our new food service we are dedicated to providing a satisfying and unforgettable experience every day of the year. Get the latest news and specials from Tamarack Golf Course. Don't miss out!